Bigmoon Entertainment and Koch Media have announced a global distribution and co-publishing agreement for DAKAR 18, a cross-country rally racing game aiming to be one of the biggest open worlds ever made in a racing game, coming to PlayStation®4, Xbox One the all in one entertainment system from Microsoft and PC platforms in 2018. Based on the world famous annual rally raid organized by Amaury Sport Organisation (A.S.O.) in South America,DAKAR 18 is a realistic simulation of the biggest cross-country rally in the world and features a variety of vehicles, including motorcycles, cars, trucks, quads and SSVs. Players will compete in fierce online multiplayer battles as well as playing offline to harness and grow racing skills. DAKAR rally is known as the biggest cross-country rally, and BIGMOON in order to simulate, decided to create one of the biggest Open Worlds ever made in a racing simulation. DAKAR 18 is focused on the realism and promises stunning visuals, which faithfully represent every vehicle and pilot of the DAKAR 2018 rally. 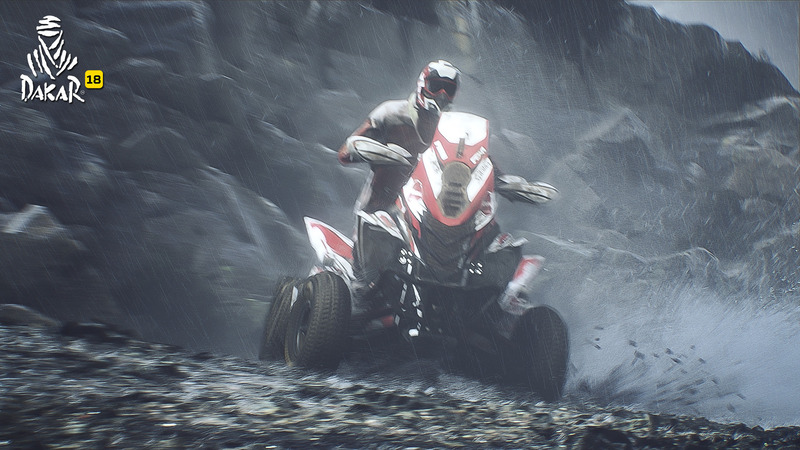 The game includes the major official Dakar manufacture teams, vehicles and pilots, the 5 racing class categories (Cars, Bikes, Trucks, Quads and SSVs), and much more. In addition, the game will feature a single player, online and offline multiplayer experience.